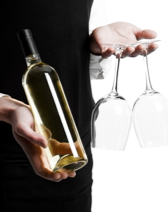 Sommelier Management (CAPS Module 6) is designed to provide prospective sommeliers the practical tools to apply their knowledge in a retail and restaurant environment. Principles taught during the class include the role of a sommelier, wine list development and pricing strategies, the role of a wine agent including retail marketing principles, service skills, food and wine pairing including practical exercises, service of wine, beer and spirits, basics of mixology, as well as information on common apertifs and digestifs. Students will be expected to complete a project applying their knowledge and the module will conclude with a final exam consisting of a written exam, and practical exercises including decanting, sparkling wine service, food and wine pairing, blind wine evaluation and cocktail service. A successful sommelier not only has excellent product knowledge but also has the ability to relate that knowledge to guests in a restaurant or classroom setting. In this section of the course, students will learn where and from what sources to buy wine. Become skilled at sourcing, wine list development, sales and marketing, cellar management and inventory, and develop a knowledge of the law in Nova Scotia/New Brunswick/P.E.I. Students will develop a professional manner with staff and learn the current human resource practices and training necessary to support a top-notch work force and operate a successful wine program. · The appropriate glassware and practical exercise. ***** Note: MMWM and Sommelier Management exams will be given together on May 26, 2019.